Terence Conran’s dream finally came true. 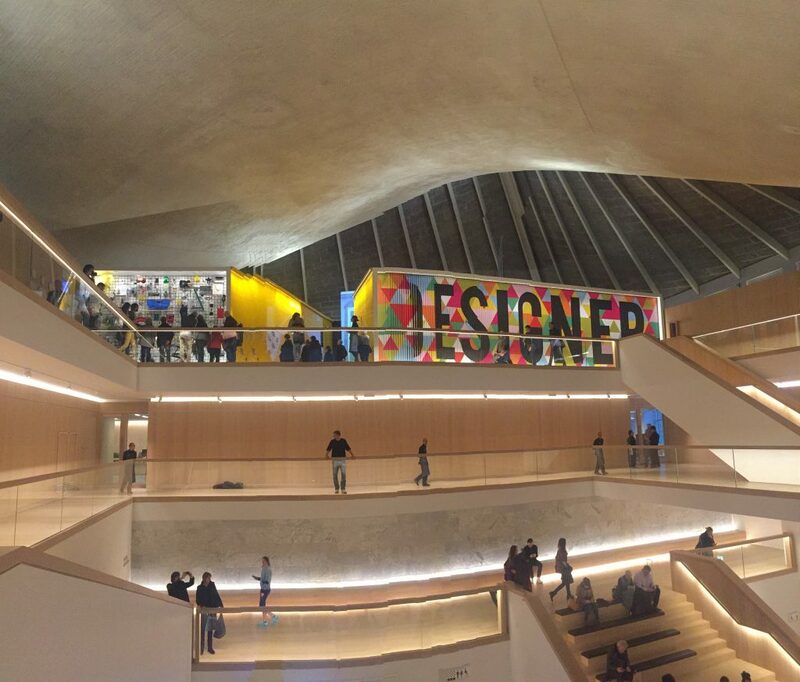 With a lot of excitement the new Design Museum opened 2016. It is housed in a famous 1960s building that has been transformed by the architect John Pawson who initially became known for his minimalist Calvin Klein stores. We will visit the permanent collection that includes design icons such as a Vespa Clubman by Corradino d’Ascani and the Ettore Sottsass- and Perry King designed Valentine typewriter. You might want to end the tour with tea in the restaurant, aptly named Parabola after the shape of the roof.